Our greatest goal is to give you the healthy, straight, beautiful smile that you've always wanted. We understand that choosing to receive orthodontic care is a big decision, and we respect your reasons for wanting to improve the way you look and feel. Our practice will work with you every step of the way to make sure that your orthodontic care is as comfortable, convenient, and rewarding as possible. We'll use the latest technology, offering a variety of safe and gentle treatment options, giving you the customized, individual care that you deserve. During your complimentary consultation, we will explain everything that you will need to know about your orthodontic treatment, so that you can choose what's best for you - no strings attached. If you'd like to schedule a complimentary consultation, please contact our office! If you do choose to receive orthodontic treatment, you will need to schedule your first appointment. Your first appointment is when the doctor will place your new orthodontic appliance. Typically, this appointment is no longer than one hour, and then you're on your way toward your new smile! 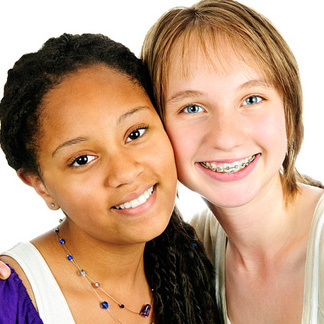 Visiting the orthodontist every 4-8 weeks is an important part of your orthodontic treatment. Regular checkups last between 20-40 minutes. Our practice will work with you to make sure that your appointments are scheduled conveniently, so that you will spend less time in the dental chair, and more time enjoying the things you love to do. We understand that "life happens," so if you're running late or need to reschedule, please let us know, and we will do everything we can to accommodate you. When you're ready to schedule your first appointment, contact our practice! We're looking forward to working with you.